It can be seen from outer space, but to truly appreciate Australia's Great Barrier Reef, you need to get up close, jump in and duck under. Clear waters reveal schools of colorful fish circling towering coral castles known as bommies. Closer looks into crevices reveal a wealth of small marine life treasures, while out in open water, turtles, rays and the occasional shark cruise by. With literally 3,000 reefs stretching over 1,200 miles to choose from, the possibilities seem limitless. Snorkelers can come for the day aboard fast, spacious excursion boats; spend time on a private island, or sign up for a liveaboard cruise to more distant regions of the reef. There are several ways snorkels can access the best snorkel sites along Australia's Great Barrier Reef. Boats depart daily from the port city of Cairns to visiting a range of sites that includes shallow reefs and stand-alone coral outcroppings. On Heron Island, an upscale dive lodge puts snorkelers close to sites along the eastern edge of the reef. Some diving liveaboard will also accommodate snorkelers on cruises to the Ribbon Reefs. If you come across a large fish hovering motionless over a coral head, pause and take a closer look. You may have found a cleaning station. At numerous points on Australia's coral reefs, small shrimp and fish such as gobies and wrasse will perform grooming services by nibbling away at parasites that cling to the skin of fish, turtles and rays. The corals at Milln Reef rise right to the surface. The Horseshoe is a maze of outcrops known as bommies that are riddled with swim-throughs and chasms. At the Cod Hole, snorkelers come face to face with huge grouper. Guests staying at Heron Island can snorkel right from the beach, or take a boat to the colorful formations of the Wistari Reefs. For day trips, add a light cover up to wear on the ride there and back. For liveaboard trips, pack in soft-sided luggage that can be easily stowed in a boat cabin. The Cairns-based operators Caradonna represents supply all needed snorkeling equipment, including wetsuits and lycra skinsuits. PORT DOUGLAS - SPA PACKAGE includes 3 nights Garden Room accommodations at Silky Oaks Lodge, welcome gift, full gourmet breakfast daily and dinner, 4-hours of spa treatments per person pre-booked from the spa menu, 4 nights Standard accommodations at Pacific International Hotel and hotel taxes. Options to add-on Outback Tours, Aboriginal Tours and Snorkeling on the Great Barrier Reef. PORT DOUGLAS - EXPLORER PACKAGE includes 3 nights Garden Room accommodations at Silky Oaks Lpdge, daily gourmet breakfast, bottle of Moet Chandon w/Canapes, 3-course dinner nightly, 1hr spa treatment per adult, 2hr exploration walk Cooya Bch, 1.5hr Mossman Gorge walk, airport transfers to Silky Oaks Lodge, 4 nights Standard accommodations at Pacific International Hotel and hotel taxes. Options to add-on Outback Tours, Aboriginal Tours and Snorkeling on the Great Barrier Reef. 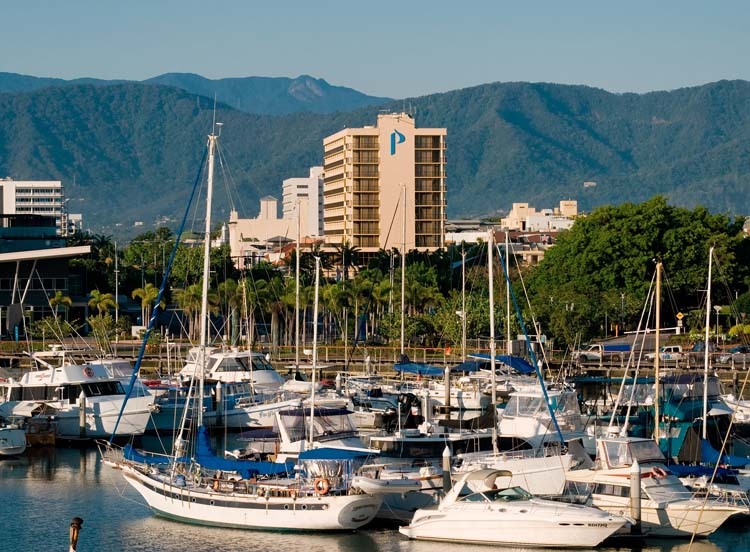 CAIRNS - The hotel is contemporary, with a tropical ambience, and all 176 rooms and suites feature balconies with excellent views of the harbor and parklands. Bushfire Restaurant & Sugarcane Rhumbar are located on-site and complete this boutique style hotel with award winning hospitality and personalized service. American citizens are required to have a valid U.S. passport to enter Australia with at least one blank page for the entry stamp. An Australian Visa is required, or if eligible, an electronic visa, through Electronic Travel Authority (ETA) at www.eta.immi.gov.au. The ETA replaces a visa and allows a stay of up to 90 days. The ETA may be obtained from their website for $20 AUD. Airlines and many travel agents in the United States are also able to apply for ETAs on behalf of travelers. Please note that American citizens who overstay their ETA or visa, even for short periods, may be subject to exclusion, detention, and removal. There are no required immunizations for U.S. citizens to enter Australia, but we would always suggest checking with your doctor and the Centers for Disease Control on recommended vaccinations for travel to Australia at Traveler's Health CDC Australia. For visitors from North America, Australia may seem like a favorite cousin who talks a bit funny and never met someone they didn't like. Portrayals of the Land Down Under often include a “no worries” attitude, which is an accurate representation of the hospitality visitors can expect. But laid back can be far from boring. In stark contrast to the cosmopolitan coastal cities to the south, Cairns is not only the gateway to the Great Barrier Reef but also the nation's epicenter for outdoor sports and adventures. Big game fishing charters, speedboat runs, jet ski tours and parasailing adventures take place in warm tropical waters, while on land, skydivers, climbers and bungee jumpers shun their fear of heights. 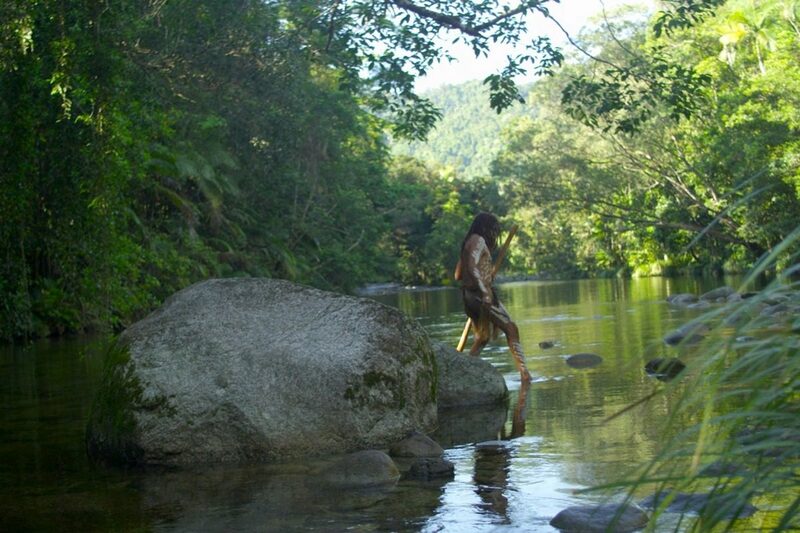 Forays into the rainforest take place on foot, aboard motorcycles and mountain bikes or via offload vehicle. Aboriginal parks provide a glimpse of Australia's cultural heritage; zip line canopy rides spice up rainforest tours and crocodile-spotting cruises along the Daintree River provide bucket-list bragging rights. Standard electricity in Australia is 230 volts, 50 cycles. When coming from the United States an adapter will be needed for U.S. items and a step-down transformer could also be required to convert 220/240 Volt to 110/120 Volt. The power outlets use 3 flat pin plugs in a different configuration than U.S. sockets. The international access code for Australia is 61. Please check with your cell phone provider for international data and calling plans. Many hotels, restaurants and bars offer WiFi. The tap water is safe to drink and bottled water is available for purchase. The currency is the Australian Dollar (AUD) and consists of 5c, 10c, 20c, 50c, $1 and $2 as coins and notes are $5, $10, $20, $50, and $100. You can exchange funds at all international airports in Australia upon arrival or at any bank. Major currencies can be exchanged at banks and many hotels, with some stores also accepting U.S. currency. Purchases may be made using cash or major credit cards. Check the current exchange rate here. Most of Australia uses 3 time zones. Australian Eastern Standard Time (AEST): in New South Wales, Australian Capital Territory, Victoria, Tasmania and Queensland, which is 10 hours ahead of GMT (+10 GMT). Australian Central Standard Time (ACST) in South Australia and Northern Territory, which is 9 1/2 hours ahead of Greenwich Mean Time (+9.5 GMT). Australian Western Standard Time (AWST) in Western Australia, which is 8 hours ahead of Greenwich Mean Time (+8 GMT). Daylight Saving Time is observed in New South Wales, the Australian Capital Territory, Victoria, South Australia and Tasmania from the beginning of October to the beginning of beginning of April, at which point AEST becomes AEDT and ACST becomes ACDT daylight savings time and moves by 1 hour. The Northern Territory, Western Australia and Queensland don’t observe Daylight Saving. Australia, sometimes referred to as the island continent, is the only country that is its own continent as well. Australia is very large - similar in size to the United States at almost 3 million square miles. The continent of Australia is located between the Indian Ocean and the South Pacific Ocean. Australia's population is 24,17 Million (2016).